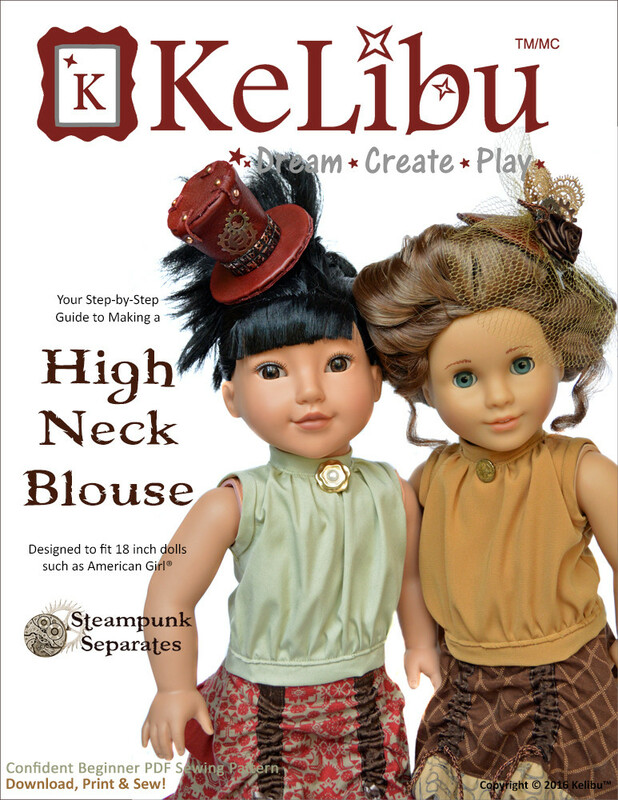 This digital doll shoe pattern will let you craft beautiful shoes for your 18 inch doll with no sewing and no gluing! 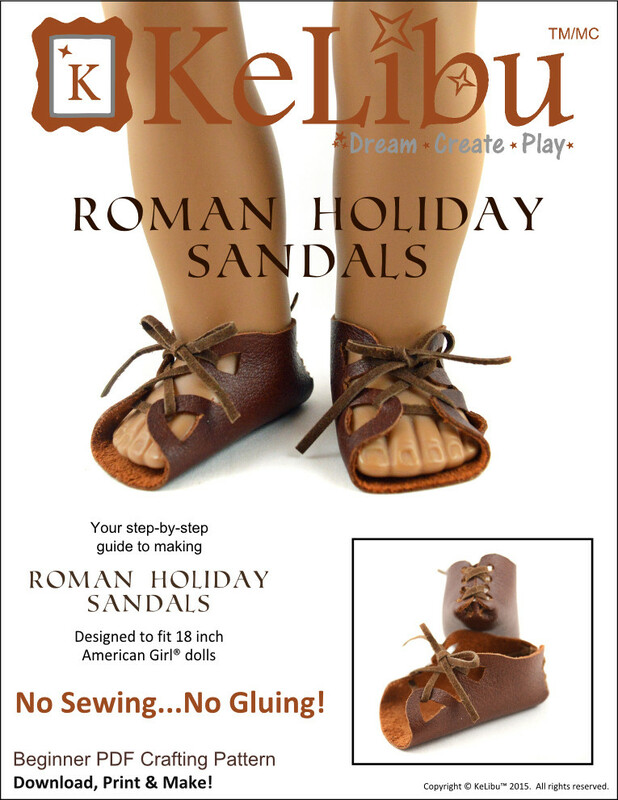 These shoes are designed to fit American Girl® and Our Generation® dolls. 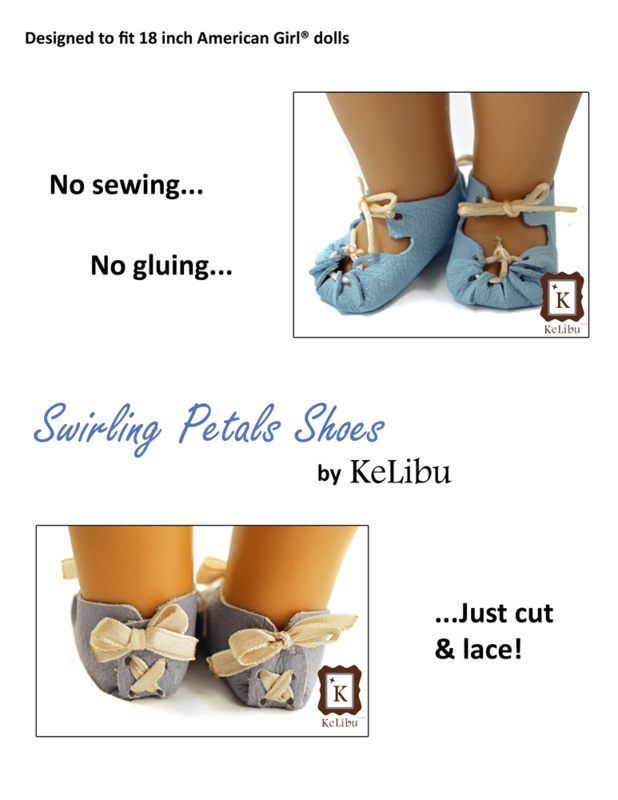 Do you avoid making doll shoes because of the sewing and gluing involved? Then the Swirling Petal Shoes are for you! Based on shoes worn by ancient Celts, these shoes are made out of a single piece of leather or vinyl. 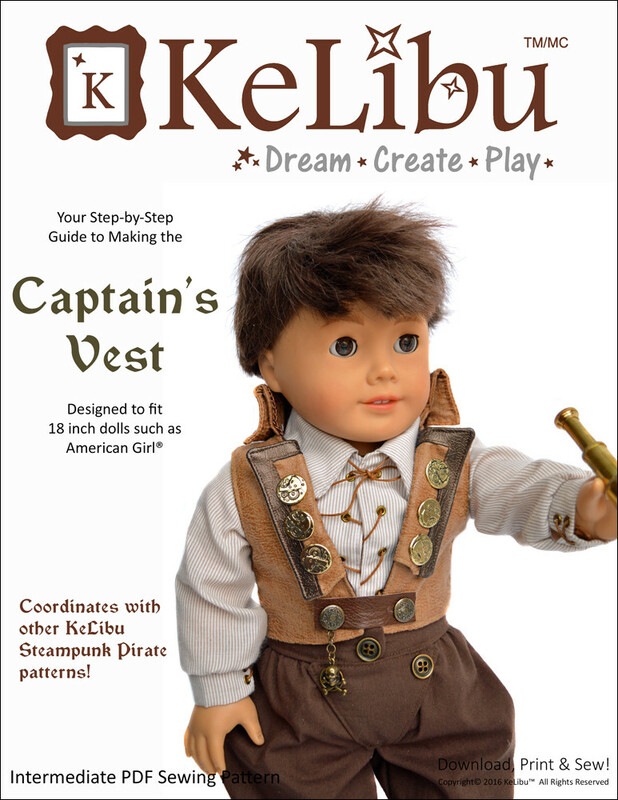 Their clever design wraps around the doll’s foot using laced cord or ribbon to hold them in place. 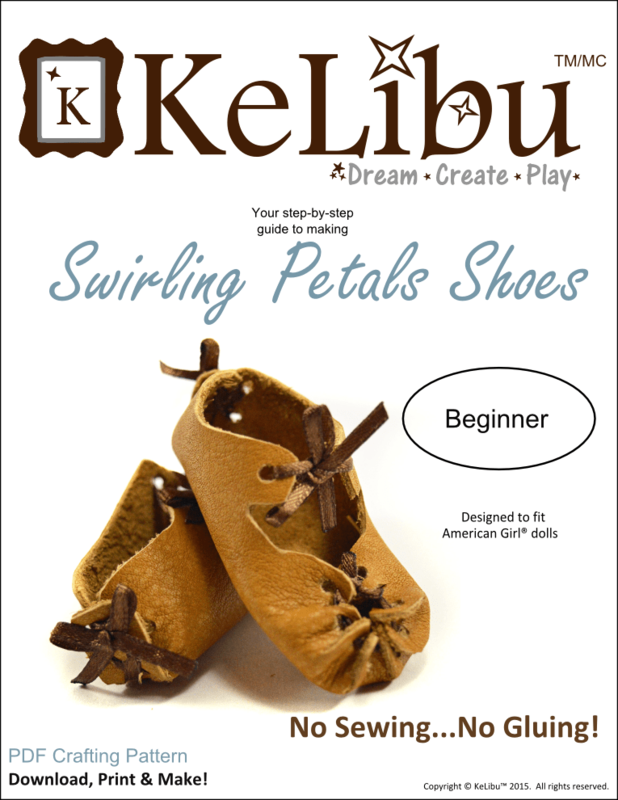 With no pieces to sew together and no soles to glue on, the Swirling Petal Shoes can be made very quickly, and with very few supplies. 5 inch by 9 inch piece of medium-heavy weight vinyl or leather. For the examples shown in this pattern I used upholstery leather that is 1/8 inch thick.